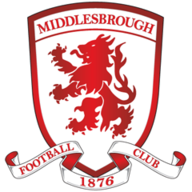 Lewis Wing's spectacular strike saw Middlesbrough beat Crystal Palace 1-0 in the Carabao Cup fourth round on Wednesday night. Wing made the breakthrough in first-half stoppage time with a stunning long-range effort, the 23-year-old's first goal for Middlesbrough being one to remember. 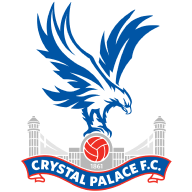 Despite all Palace's second-half pressure, though, Tony Pulis' side held on to take their place in the last eight of the competition, where they will face Burton Albion. With both teams having made eight changes from their weekend league games, there was no real surprise that the match took a while to get going. That stop-start nature to the contest was not helped, though, by the serious-looking knee injury sustained by Middlesbrough defender Sam McQueen, who is on loan at the club from Southampton. That stoppage meant there were four minutes of time added on at the end of the first period, during which the hosts took the lead. Wing, who had been his team's most-impressive player before the interval, collected Marcus Tavernier's pass and with few other options, struck from 25 yards out with the ball flying into the top right-hand corner. However, there was a slight suggestion of handball by Jordan Hugill in the lead-up to the goal, with Palace boss Roy Hodgson having strong words with referee Paul Tierney as the sides walked off at half-time. The visitors dominated the contest in the second period, albeit without actually testing Dimitrios Konstantopoulos in Boro's goal until two minutes from time. 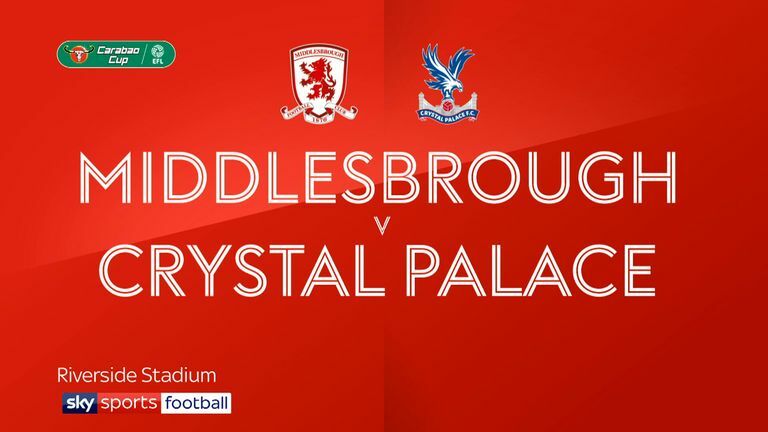 Palace and Boro made eight changes, with Roy Hodgson retaining only Aaron Wan-Bissaka, Andros Townsend and Jordan Ayew from the 2-2 draw with Arsenal. Meanwhile, Danny Batth and Grant Leadbitter joined Daniel Ayala, George Friend and Paddy McNair, who started Saturday's 1-1 draw with Derby, as Boro boss Tony Pulis handed chances to fringe players and youngsters. The Greece international held firm, though, to beat away Andros Townsend's well-struck drive from distance, before the visitors' appeals for a penalty were waved away in injury time, despite Max Meyer's shot appearing to strike the hand of a Boro player in the area. Tony Pulis: "We played Burton last year at their ground and they absolutely murdered us, and we scored a late goal and we were very, very fortunate. "I watched them last night play Nottingham Forest and they were by far the better team, created the best chances and if anybody takes them lightly, then you're going to get the same result. "I've got great respect for Nigel. They're a very, very hard-working team, they're well set up and they've got nothing to lose. They'll come here with nothing to lose, so it will be a tough game for us." Roy Hodgson: "The fact is it was a tight game - we always knew it was going to be a tight game. We didn't think it was going to be a game with a lot of goals in it and unfortunately we conceded one in the first half, albeit that most people who were close to the incident would agree that that was rather unfortunate. "There referee was unsighted and couldn't give the decision which he otherwise would have given." The imposing Spain centre back was an absolute rock at the heart of the Middlesbrough defence, heading clear numerous crosses and making several important clearances, especially as Palace stepped up the pace after the break. Middlesbrough take on Stoke City at the bet365 Stadium on Saturday, with the match - which is live on Sky Sports Football - kicking off at 5.30pm. Meanwhile, Palace face Chelsea at Stamford Bridge on Sunday (4pm), and you can watch the Super Sunday clash live on Sky Sports Premier League.